“But not long after there arose against it a tempestuous wind, called Euroclydon. And when the ship was caught, and could not bear up into the wind, we let her drive” (Acts 27:14–15). 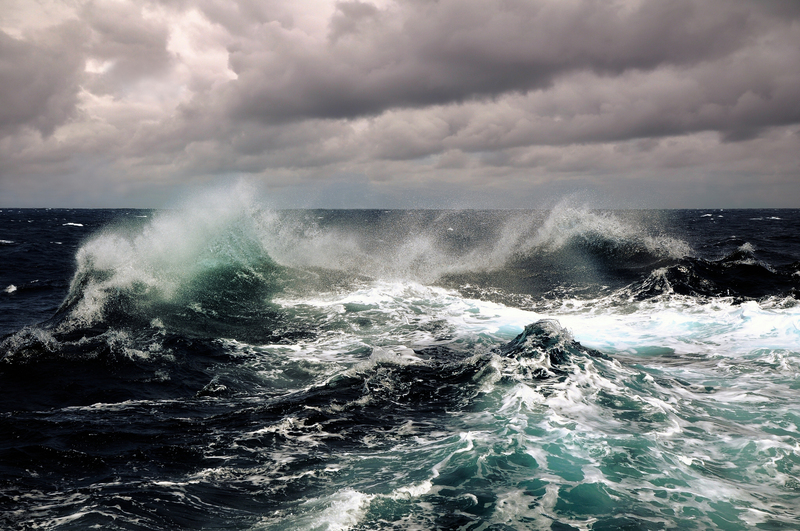 Just like those on the ship with Paul, we arrogantly set our course against the ways of God and now we find ourselves in a storm, facing circumstances beyond our control. We are being driven by the wind with seemingly no direction and no moral compass. “Which when they had taken up, they used helps, undergirding the ship; and, fearing lest they should fall into the quicksands, strake sail, and so were driven. And we being exceedingly tossed with a tempest, the next day they lightened the ship; and the third day we cast out with our own hands the tackling of the ship” (Acts 27:17–19). For years we have done our best to hold this country together. Now, out of desperation, we are beginning to cast overboard the tackling of the ship. The tackling represents certain standards that were once bedrock in this nation, such as the sacred right of unborn children in the womb to live. I am not a doctor, and I am not suggesting there may not be circumstances that need to be considered. But when we begin to murder our unborn children for the sake of convenience, we have crossed a line, which is terrifying at the least. Not only that, we have cast out the sanctity of marriage as defined by God from the beginning of time. God designed one man and one woman to be joined and to be fruitful in the earth. Yet now it seems that anything goes. It doesn’t matter if the Bible calls it evil; we are now calling it good. Very soon we might even have to deal with the throwing overboard of the right of free speech and self-government, all in favor of a new morality. In the ferocity of a storm, people are willing to do things that they would not do under normal circumstances. When they have already lost their spiritual moorings and fear begins to set in, they will throw almost anything overboard in favor of what is believed to be safety and security. This is precisely why the role of the Church is so pivotal at this juncture in history. We have before us a window of opportunity to be a guiding voice in the storm. It is a window that I feel will be open for only a short season, which is why we must be prepared now. Paul was ready when the call came to him. He had been in the bottom of the ship, praying in the midst of his own struggles and fighting through his own belly of hell. All along, Paul knew that he was being carried on this journey by the spiritual ignorance of those who refused to heed the Word of God. Imagine the taunting of the enemy that he had to fight. “This is hopeless, Paul! Your life is not going to amount to anything. How are you ever going to affect this journey or this generation? Do you really think that anyone on this ship will listen to you? Just go ahead and get bitter. Get vengeance on those who have caused this ignorant journey!” Yet, despite the hardship and the battles Paul faced in the belly of that ship, he chose to pray. Suddenly, in the midst of all the difficulty, a window opened. He was called to the deck of the ship, and the people were ready to listen. What would have happened if Paul had not been ready when the call came? What if he had been down there grumbling with the rest of the prisoners—if his whole focus had been on himself and his own security? If that had been so, Paul probably would have stood on the deck with no more hope or encouragement than anybody else around. He may have had some ideas, but he would not have had the mind or the word of God for those who desperately needed it. That is why it is so essential that you and I be in prayer now. We must get a word from God! He will speak if we are willing to listen and set aside our own ideas about what our future should be. Paul was willing to listen, and as a result, the Lord gave him this word of exhortation for those on the ship: “For there stood by me this night an angel of the God to whom I belong and whom I serve, saying, ‘Do not be afraid, Paul; you must be brought before Caesar; and indeed God has granted you all those who sail with you.’ Therefore take heart, men, for I believe God that it will be just as it was told me” (Acts 27:23–25, NKJV). “And the servant said, Lord, it is done as thou hast commanded, and yet there is room. And the lord said unto the servant, Go out into the highways and hedges, and compel them to come in, that my house may be filled” (Luke 14:22–23). Most historians agree that this represents our present church age. That means that your life and mine should be a compelling testimony. We ought to present to this generation irrefutable evidence of the reality of Christ, alive within us. This entry was posted in Bible Teachings, Inspirational Messages and tagged carter colan, storm of life. Bookmark the permalink.